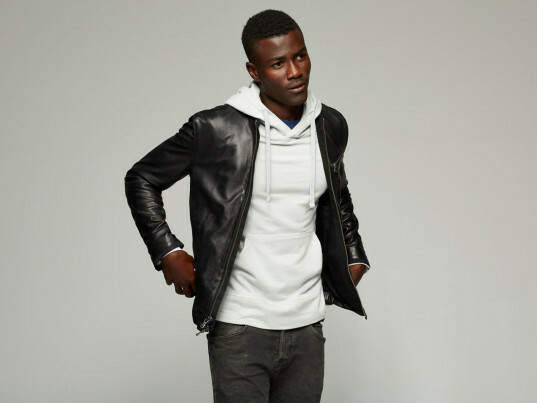 After Slate lauded American Giant for creating the “greatest hoodie ever made,” sales of the 100 percent cotton-fleece sweatshirt exploded. With a waitlist that stretched, at times, for months, the humble garment drew innumerable compliments for its quality, resilience, and fit. (One customer even described it akin to “wearing a hug”—high praise.) As orders flew in by the thousands, American Giant quickly expanded from one Brisbane, Calif.-based factory, just north of its headquarters in San Francisco, to four others across California and North Carolina. Still, its original mission—to create affordable American-made clothing, using U.S.-sourced materials—has never wavered. Ecouterre caught up with Bayard Winthrop, the company’s founder and CEO, to get his take on becoming a viral phenomenon, the state of American manufacturing today, and how American Giant plans to shift consumers away from the “fast fashion” model. American Giant sells direct to consumer using an online-only model, which cuts out the middle person. How did the brand take off with little to no marketing? That story went viral and we sold so many sweatshirts that in 36 hours we had a six-month backorder. It really kick-started the business, creating a broader conversation about what a good sweatshirt should be, how viable American manufacturing was, and what American Giant was trying to do. We had to move into four new factories within the year just to meet that demand. How did you come up with the “American Giant” name? I’ve always loved the idea of a humble, strong, capable giant. It’s the way I think about American manufacturing. Domestic manufacturing is obviously something that’s important to you. I grew up with some of the most iconic American brands. Levi’s were made in the United States and Champion made great, affordable product that was tough in a distinctly American way. That’s all changed though. Product quality deteriorated and the American-made commitment is largely gone. We set out to reinvigorate American manufacturing and debunk the belief that made in America is dead. And since the hoodie is one of those great American silhouettes, it was the perfect place to start. We wanted to do something different and special and to look at this classic American garment in a new way. Were there complications in sourcing what you needed? Quality takes a ton of time. For us, it begins with fabric. We had a specific weight and construction we were requiring and we had a really hard time finding a domestic mill that could do the knitting and finishing we needed. It took us nearly a year to find and develop what we were looking for. Luckily, the Ashby family in South Carolina believed in what we were doing and spent a lot of development time and energy getting us where we need to be. Their company, Carolina Cotton Works, is still a critical supplier of ours. Is manufacturing in the United States difficult when so many factories have shut down due to offshoring? That’s a myth. It’s a narrative spun by “experts” or apparel companies that find it easier to chase cheap labor and no regulations overseas. If you commit to manufacturing in the United States, what you find is that the companies that are still around have come through tough times and are out the other side are lean, efficient and looking for work. We feel like we work with some of the best suppliers and sewers in the world. American Giant has a business stake in two of the factories that you work with. What spurred this investment? Our brand is built on the back of our products. If we’re not producing exceptional stuff we will have broken our fundamental promise with our customers, so we take our supply chain seriously. Our size and the demand for our product reached a point where we felt that we were better serving our customers by owning key parts of our supply chain, so that’s what we did. It also gives us the flexibility to invest in our production floors in ways that drive quality and manufacturing excellence—things we really value. Sounds like you’re the antithesis of fast fashion. The fast fashion movement is built, in large part, on the back of disposable clothing—stuff that falls apart after a few washes, and is priced that way, but hits the latest fad in a timely way. Part of that positioning is that quality doesn’t matter, fads do. We’re not interested in that. We make clothes that will last you a long time, that are styled to take you through your days, year around—good, well-made basics that fit well. People that are interested in fast-food clothing can go elsewhere. 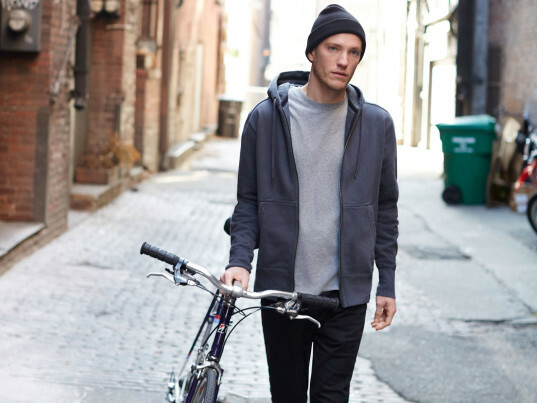 After Slate lauded American Giant for creating the "greatest hoodie ever made," sales of the 100 percent cotton-fleece sweatshirt exploded. With a waitlist that stretched, at times, for months, the humble garment drew innumerable compliments for its quality, resilience, and fit. (One customer even described it akin to "wearing a hug"—high praise.) As orders flew in by the thousands, American Giant quickly expanded from one Brisbane, Calif.-based factory, just north of its headquarters in San Francisco, to four others across California and North Carolina. Still, its original mission—to create affordable American-made clothing, using U.S.-sourced materials—has never wavered. 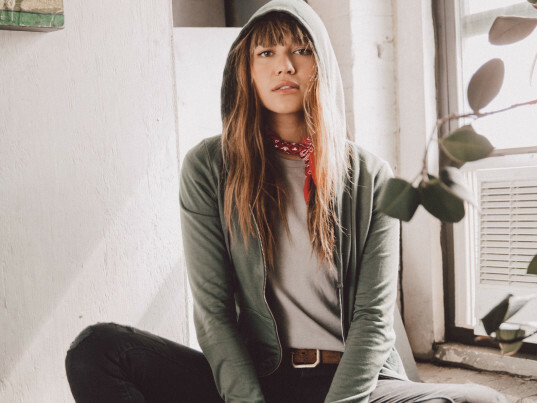 Ecouterre caught up with Bayard Winthrop, the company's founder and CEO, to get his take on becoming a viral phenomenon, the state of American manufacturing today, and how American Giant plans to shift consumers away from the "fast fashion" model.